Office Space - Pontefract, West Yorkshire. 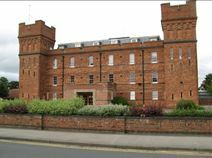 This imposing building is situated half a mile south west of the centre of Pontefract. This is an impressive Grade II Listed building offering 13 serviced office suites. A full range of amenities is available.